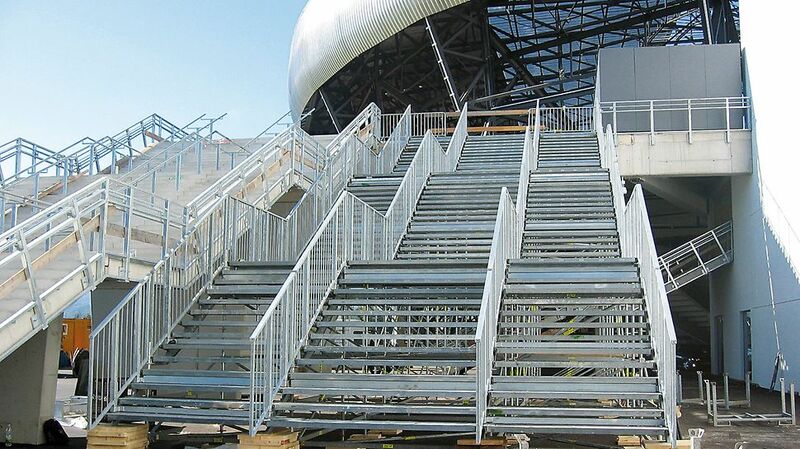 PERI UP Public is the ideal solution for temporary stairs in public areas. 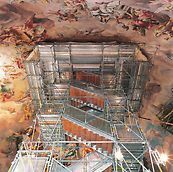 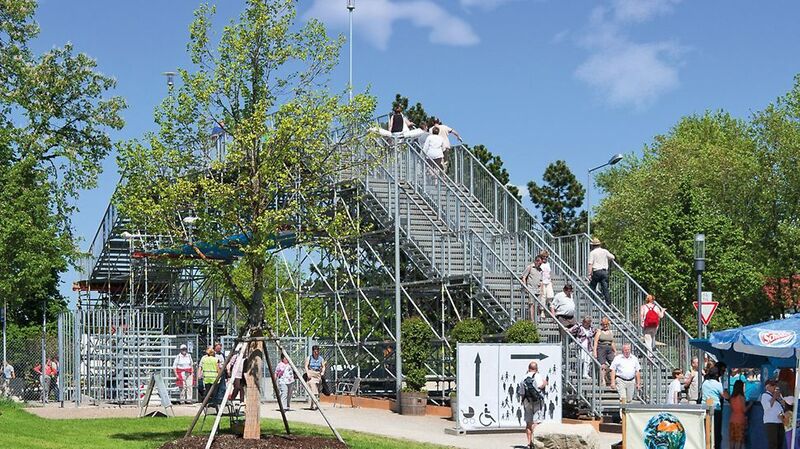 Typical applications are providing access to grandstands or as temporary pedestrian bridges as well as stair replacement during renovation work. 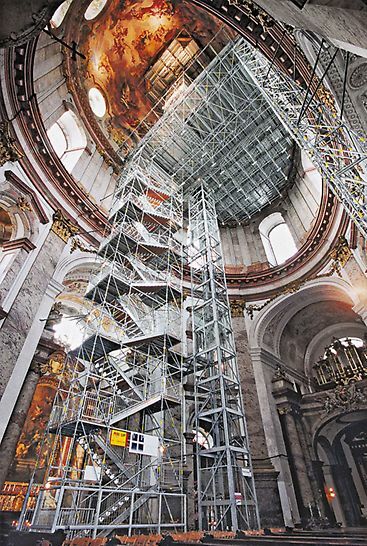 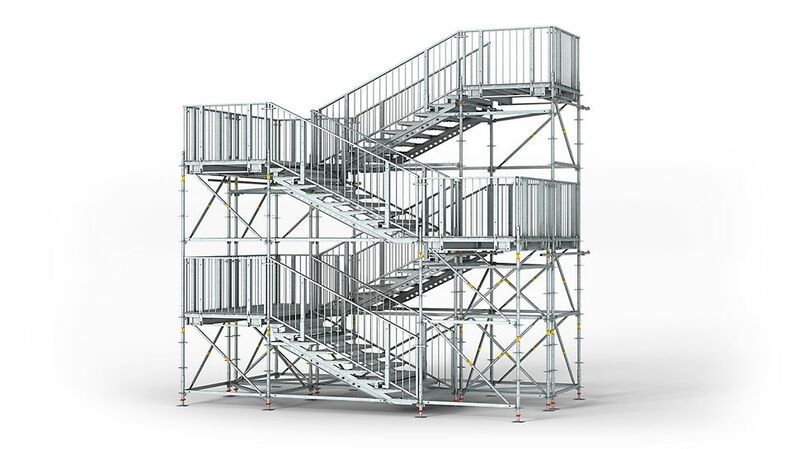 With these stairs, particularly high requirements regarding permissible loads, flight widths along with guardrail and landing arrangements can be fulfilled. 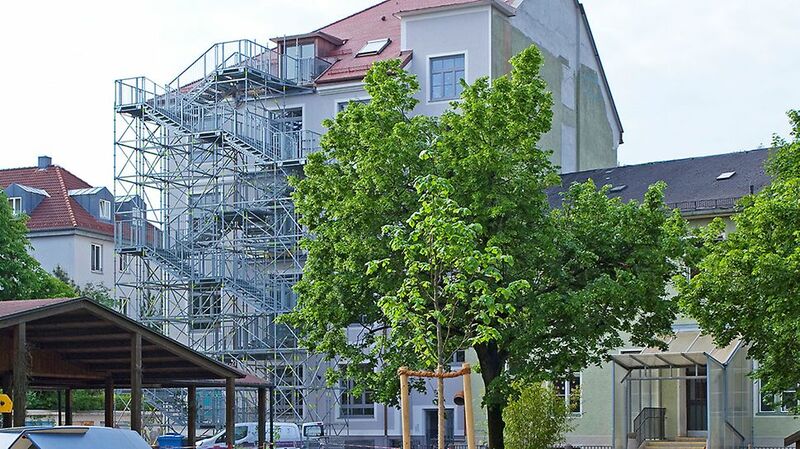 As a result, PERI UP Public always focuses on providing complete safety for all users.